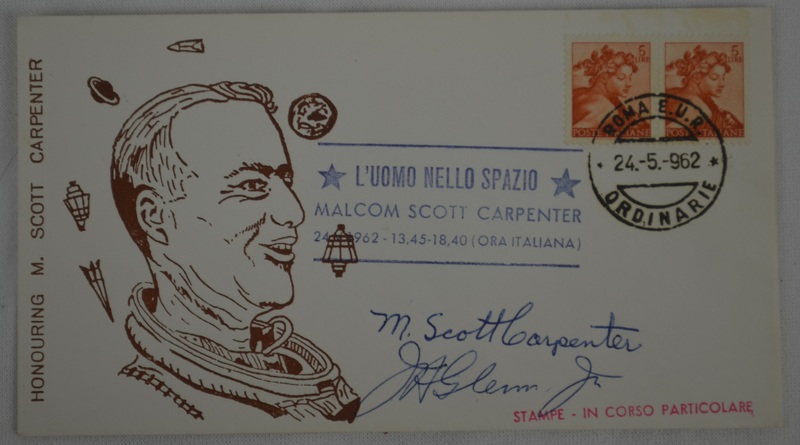 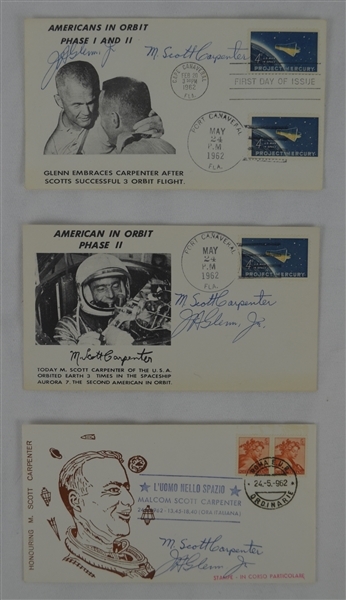 This lot features a total of 3 First Day Covers each of which has been dated May 24th, 1962 and signed by both John Glenn and Scott Carpenter in bold, blue pen. 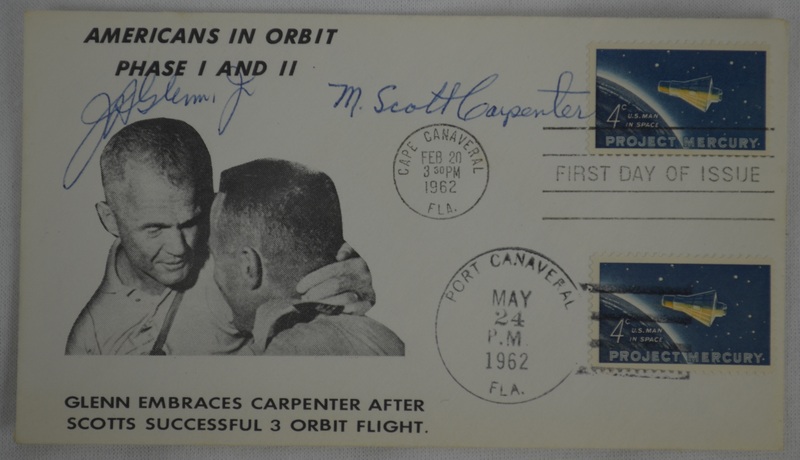 One of the FDC's is also date stamped February 20th, 1962 (Glenn's flight, Phase I). 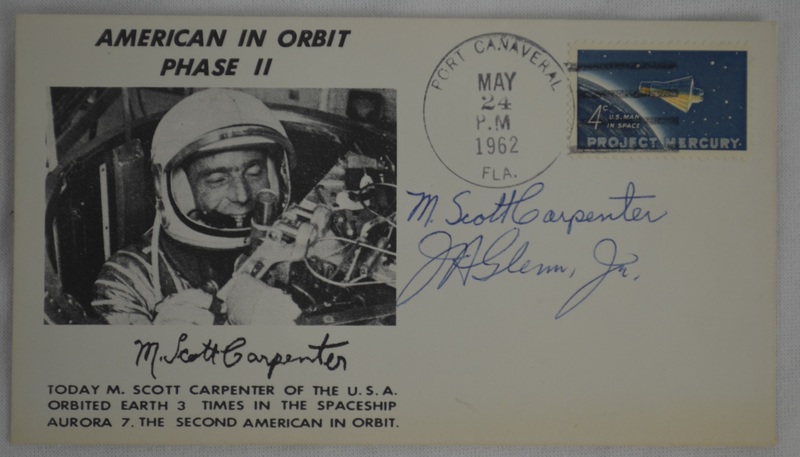 Carpenter flew into space on May 24, 1962 (Phase II), atop the Mercury-Atlas 7 rocket for a three-orbit science mission that lasted nearly five hours. Their Aurora 7 spacecraft attained a maximum altitude of 164 miles and an orbital velocity of 17,532 miles per hour.